Snapchat continues to make changes to the platform attempting to appeal to both users and advertisers. 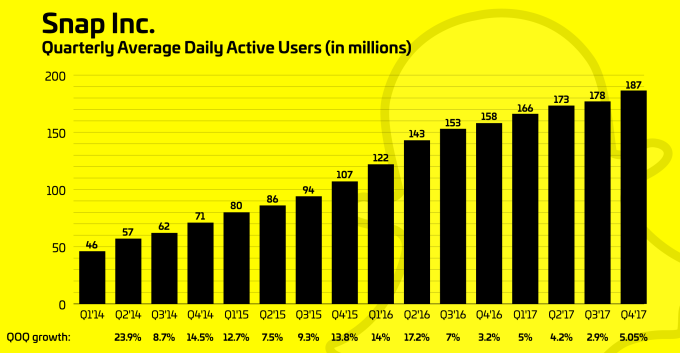 Q4 2017 saw a spike in daily active users that excited a lot of people as it was the largest quarterly growth since Q3 2016. In the past, advertisers have found it difficult to understand how to monetize ads on Snapchat. For example, since video has always been skippable, knowing that most users skip within the first second is unattractive for brands. But Snapchat seems to be on roll with releasing more ad opportunities that are appealing to brands and allow for more measurement. See below for a few of the changes that are new, in beta or coming soon to Snapchat soon for advertisers. Location Category Filter allows advertisers to target an audience based on location type – over 150 category locations are available. Example: A DMO on the coast in Florida could utilize location targeting to reach people at nearby beaches. Allows advertisers to geo-target a radius around a location. This technology is available in other platforms but brings targeting beyond DMA level within Snapchat. Example: A retailer can target a 3-mile trade area around their location vs. entire DMA or zips. Snapchat will begin testing :06 non-skippable ads, similar to YouTube’s :05 format. A user must watch :06 before being allowed to skip. Previously a :03 non-skippable ad was discussed, but it has been expanded. This should start rolling out in May. Advertisers need to remember video format in social is different than other platforms and adjusting creative to ensure they get their point across or have engaging content in the first :05 is still key. This is basically adding a CTA button on Lenses to drive people to a landing page to buy, download or complete an action. See links below for examples of how brands like King (Candy Crush) and others have started using it. This is available on a national level only. Acquisition of Placed will soon bring location attribution to the platform. Placed can attribute foot traffic back to advertising efforts and has been one of the larger players in the space. The recent acquisition from Snap will bring this technology to the platform, though it isn’t clear yet how seamless the integration will be. Example of how Placed attribution works: After a retailer uses a function like radius targeting to serve ads to people in their trade area, they could then measure how many people walked into their store that received an ad over a period of time or show a lift of people based on exposed vs. unexposed.